When Chrysti Thompson fulfilled a lifetime ambition by signing up for the London Marathon; her husband Leighton thought he would do too – despite having no running experience. From gradual preparation of informal park runs to building to 10ks and half marathons, his first race will be the country’s most iconic running event on April 28. “I don’t mess around,” he joked. have been training together since the autumn. Chrysti who has run all her adult life is rather cross that Leighton is now outrunning her. “He’s always been fit and he has taken to running really well. He finds it much easier than me, although he has promised to slow down on the day so we can run the course together!” said Chrysti, 31, who works as an estate agent. 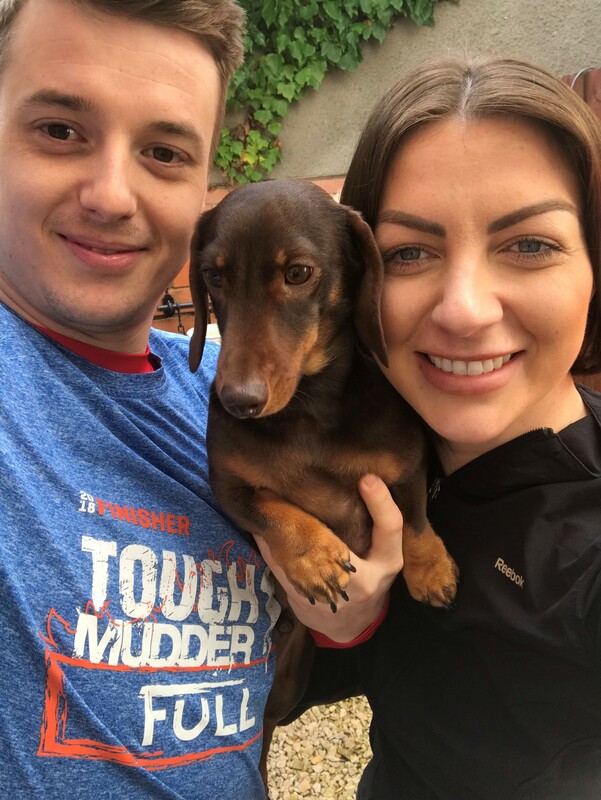 The couple’s Dachshund Chip has also been training with them, joining them on their shorter runs. “We haven’t gone further than three miles with him as he has such short legs but he loves it,” she said. She has a long history of running and ran the Cardiff Half in 2013. “Competing in the London Marathon is a real bucket list thing for me. I watch it on the television every year and get really emotional, I will probably cry all around the course! I used to live in London and love the city so I’m really looking forward to enjoying what will be a very special atmosphere,” said Christi. Training has proved a really big commitment for the couple. Leighton, 30, who runs his own property maintenance firm, said: “Once I knew Chrysti was running for Barnardo’s I couldn’t let her have all the fun.